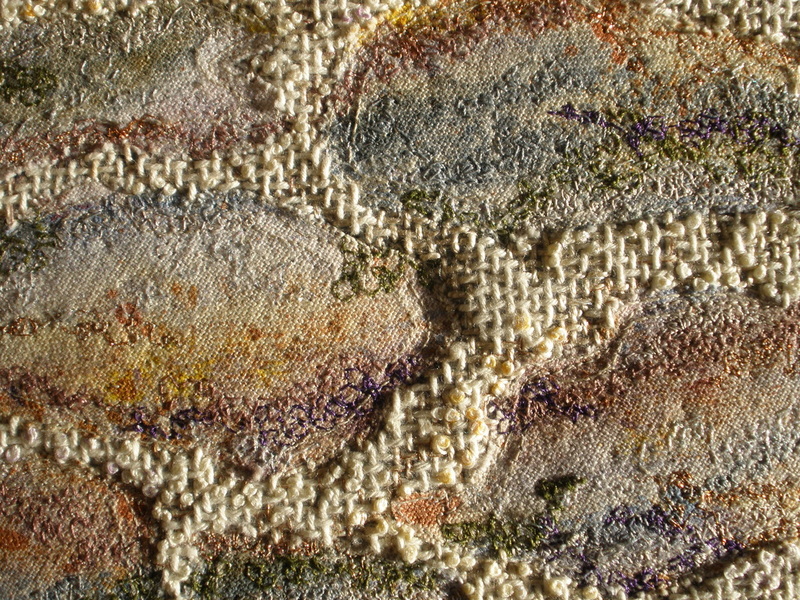 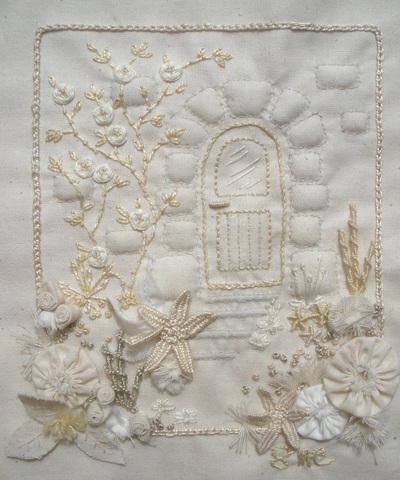 Shirley McCann, textile artist, tutor and French to English translator. 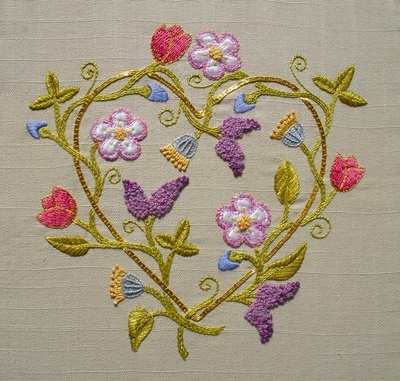 Shirley has worked in the following techniques... Blackwork, Crewel embroidery, Boutis quilting, Raised monogrammes, Canvas work, Hardanger, Assisi and cross stitch, Fabric manipulation, Stumpwork & Freestyle embroidery. 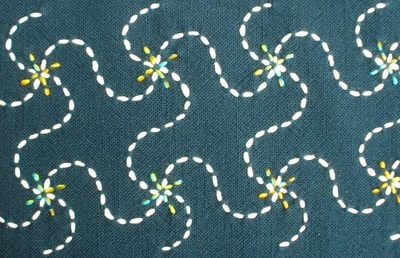 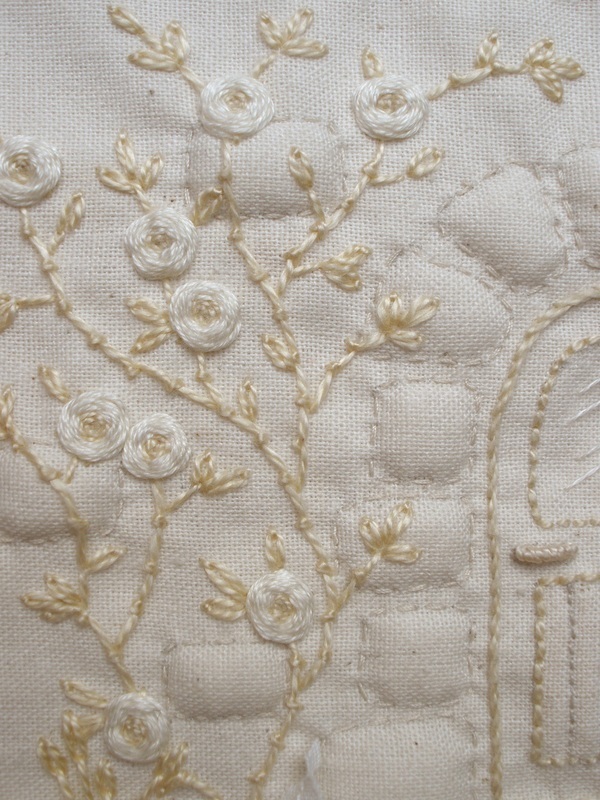 Other techniques are possible including machine embroidery for small groups or individuals. 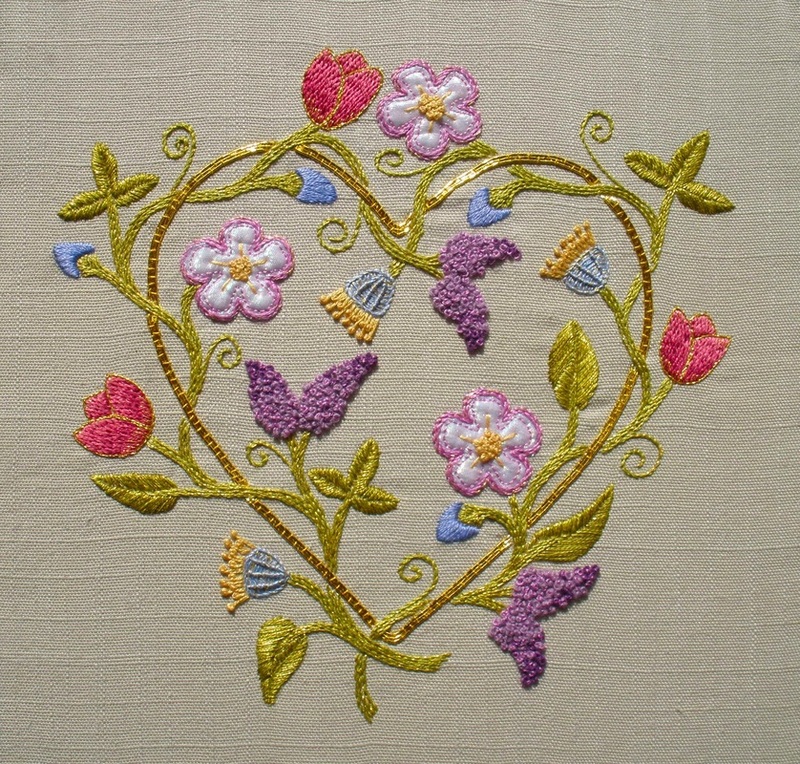 See my workshops page for other things I have done or follow me on Facebook by clicking the logo at the top of the page..
Shirley can also help you out if you have a project that is not progressing or that you need advice on so that you can have the satisfaction of completing something that has been stuck in the drawer! Simple but highly effective techniques. 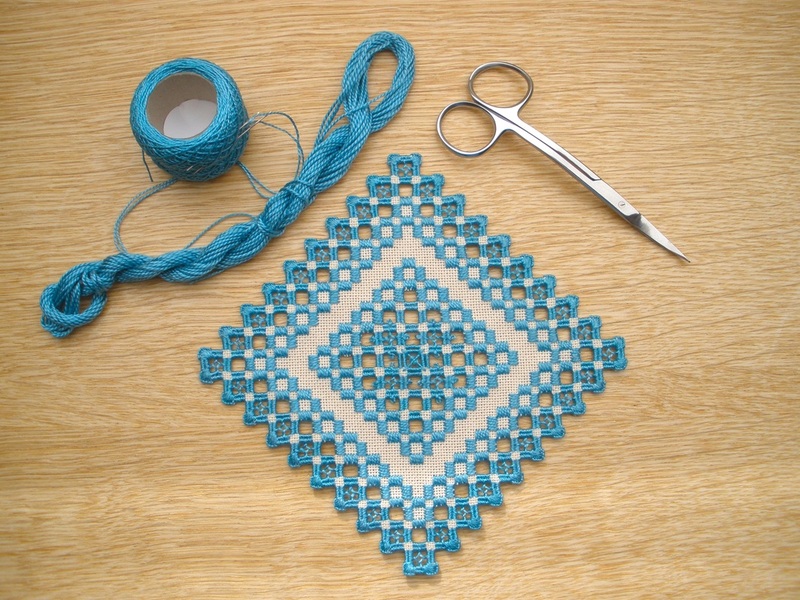 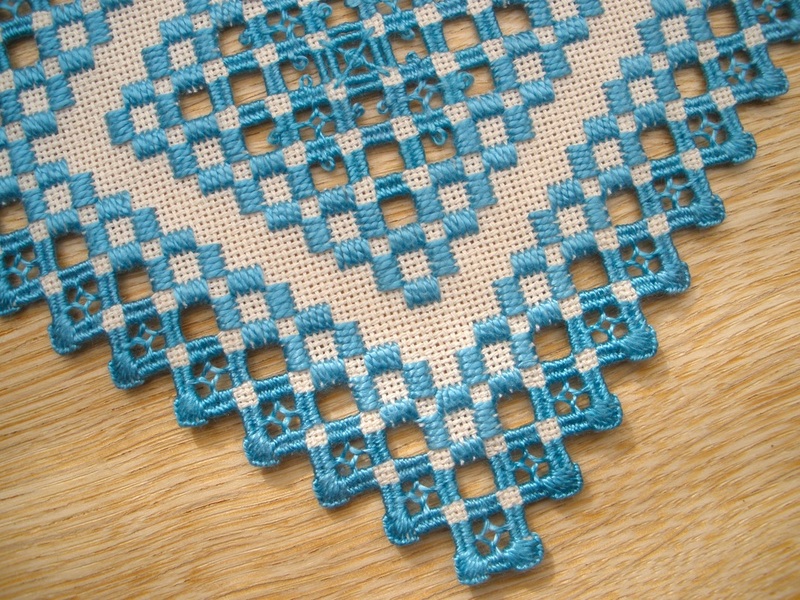 Cross stitch is well known and immensely versatile for linens, cards and pictures. 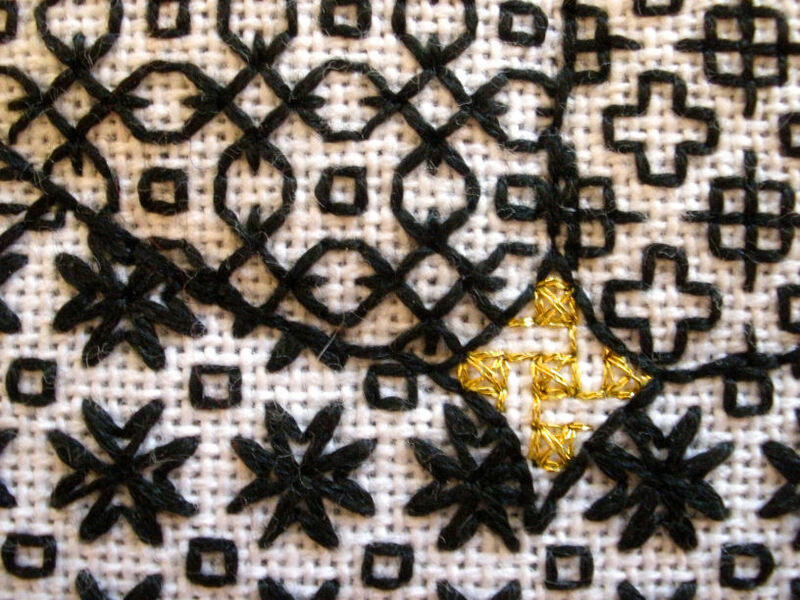 Assisi is a form of cross stitch where the pattern is revealed in the areas left unworked. The word crewel is believed to refer to the wool used to create these richly textured designs. 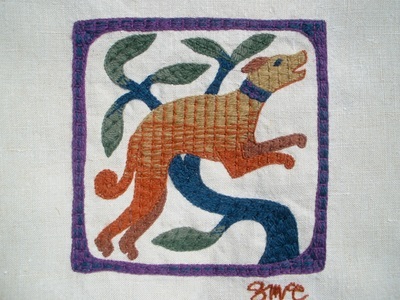 In vogue during the Jacobean era for use on furnishings in the home it is worked in wool on linen but modern interpretations may use other materials. 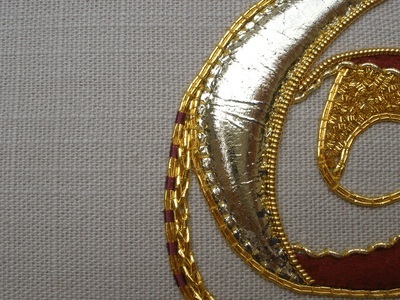 Popular in the 16th century and used on costume throughout the Tudor period. 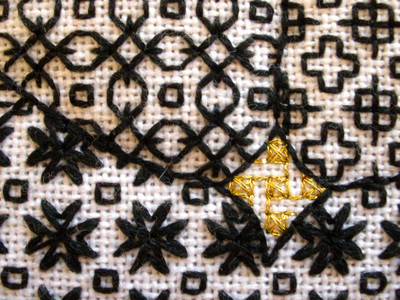 Also known as Spanish work as it is reputed to have been introduced to England by Henry VIII’s first wife Catherine of Aragon. 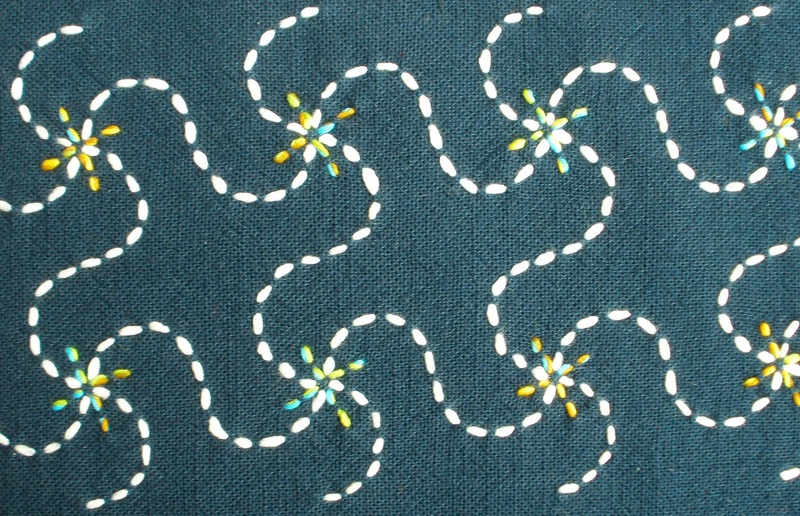 This technique was used on underskirts which were shown through the open top skirts of dresses and on infants clothing. Characterised by small detailed pattern elements and a raised corded effect this technique produced reversible fabrics. 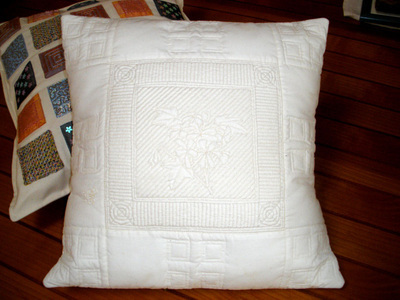 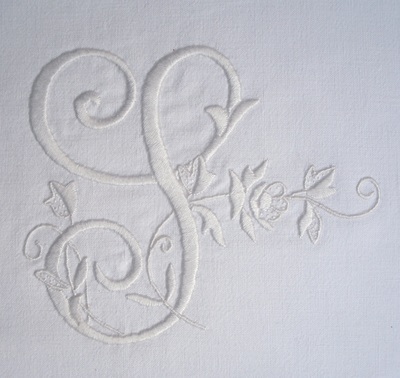 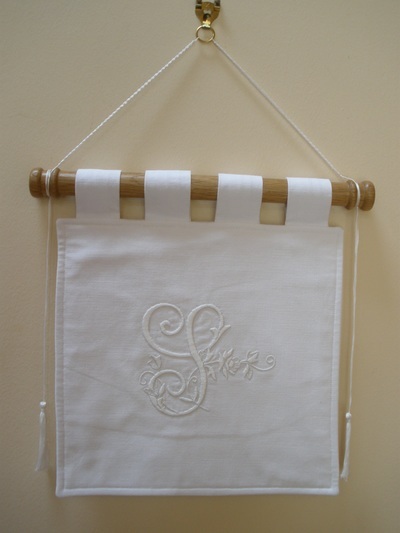 Used traditionally to mark linens this skill developed into an art form. 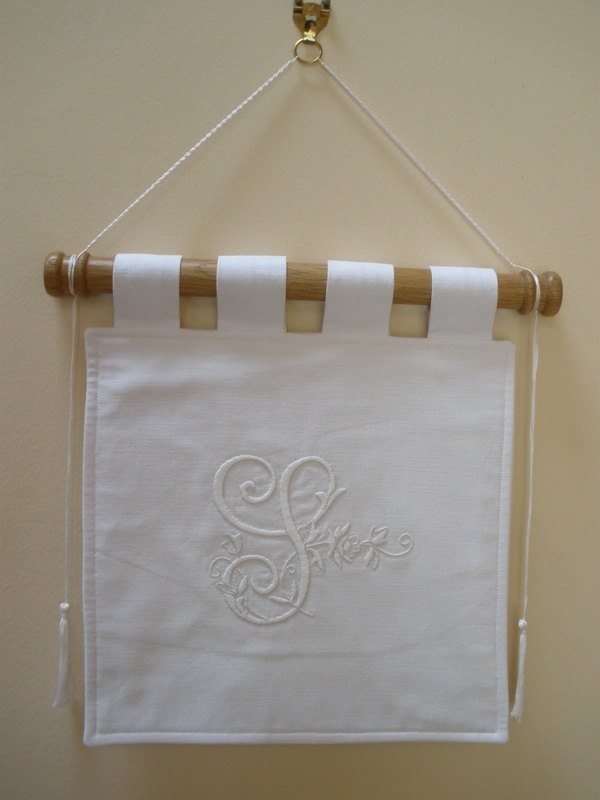 Producing a raised lettering which catches the light it can be very effective used on pillow slips, cushions or for wall hangings. A technique with huge possibilities for colour and texture. 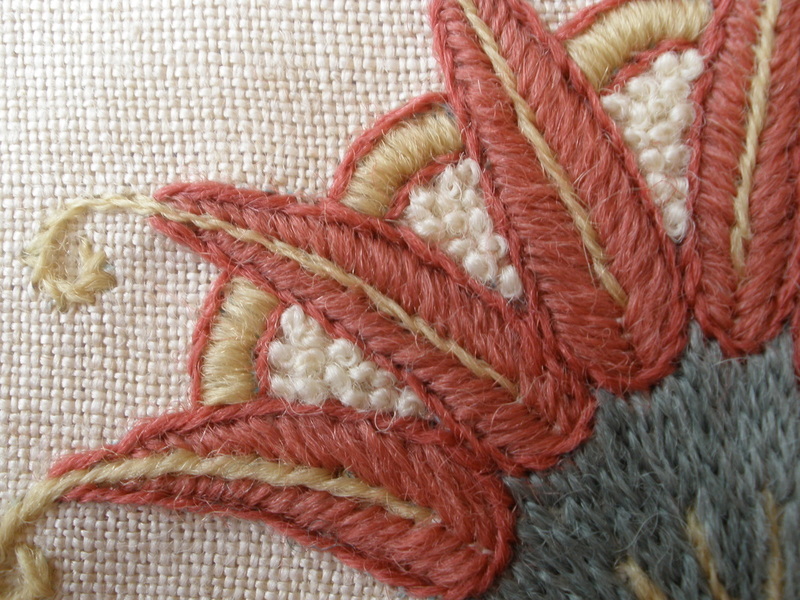 Counted stitches in many variations are used to create samplers, cushions, pictures, book covers, belts and many other things. 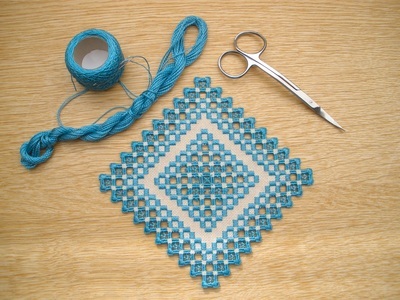 Traditionally in wool or silk but works well with stranded cottons. 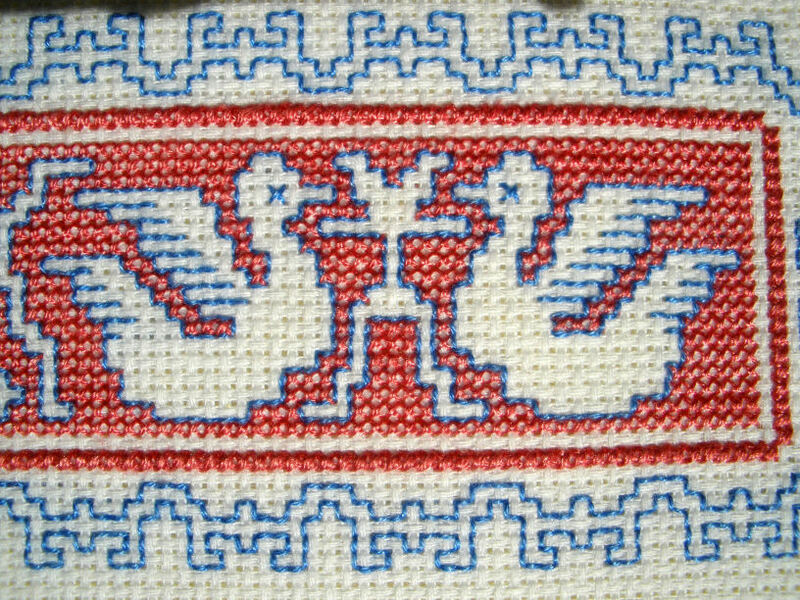 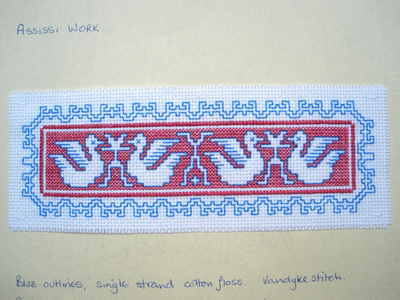 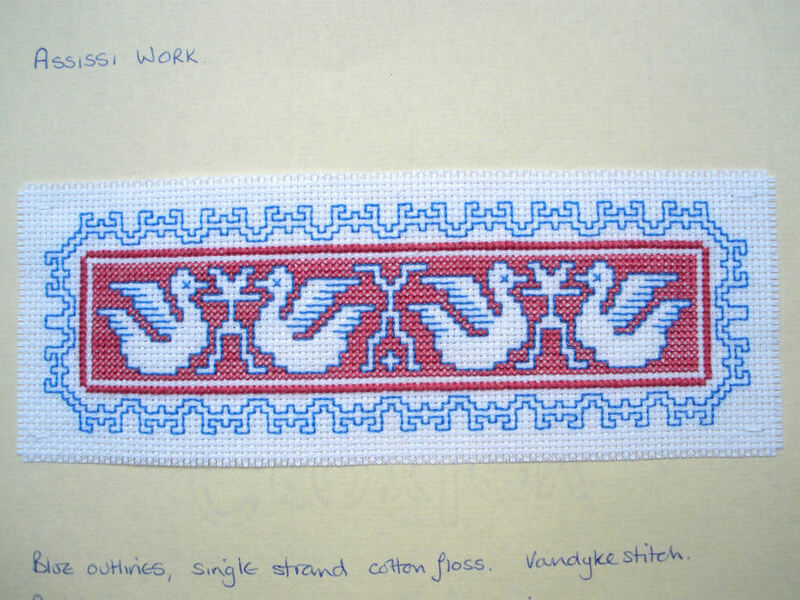 Originating in the north western region of Norway this is a counted technique where blocks of stitches and cut work create geometric designs on an evenweave fabric. 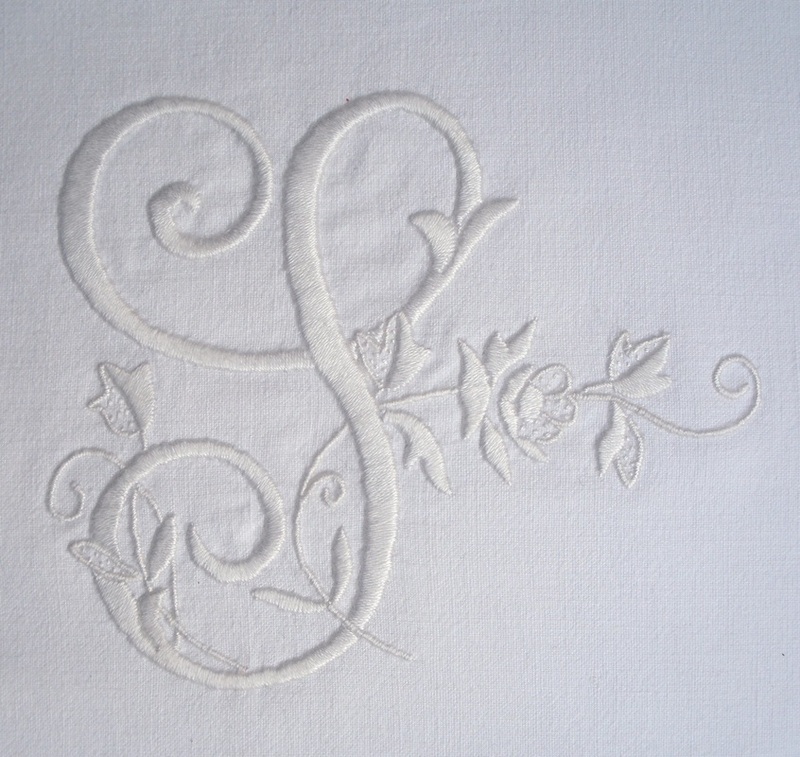 Used traditionally on table linens it can have many other applications. 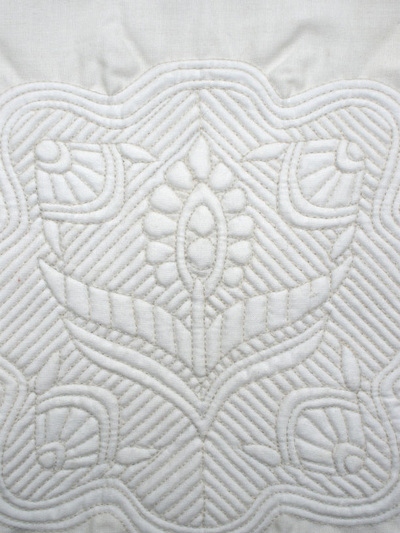 Texture and form are created by folding, gathering and pleating fabrics before use in the final piece. 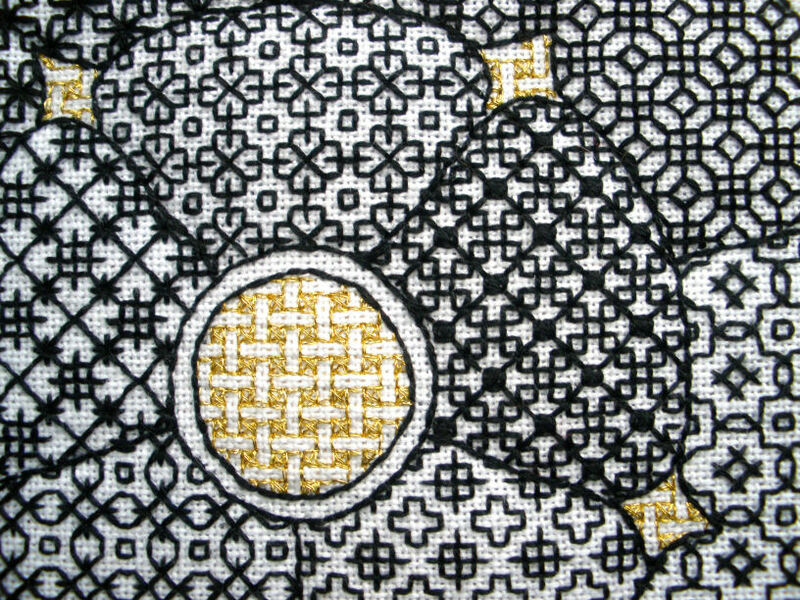 Wonderful effects can be obtained even with just a monochrome colour palette and matching threads. Popular in the 17th century this technique is characterised by the three dimensional effect of the finished work. 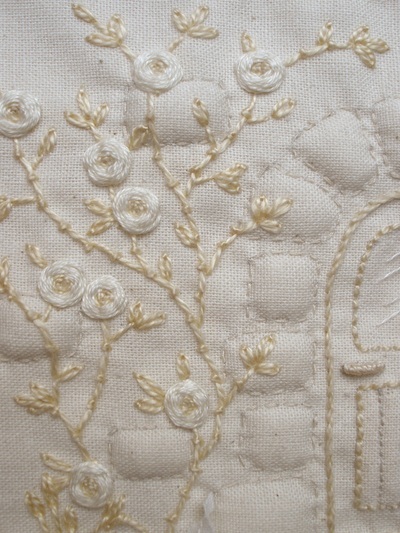 Padded and raised elements are embroidered over to give form and life to pictures. An enormous range of techniques and stitches to enable you to translate an idea in your head to a finished piece, whether formal and finely worked or wilder and more free. The sky is the limit. 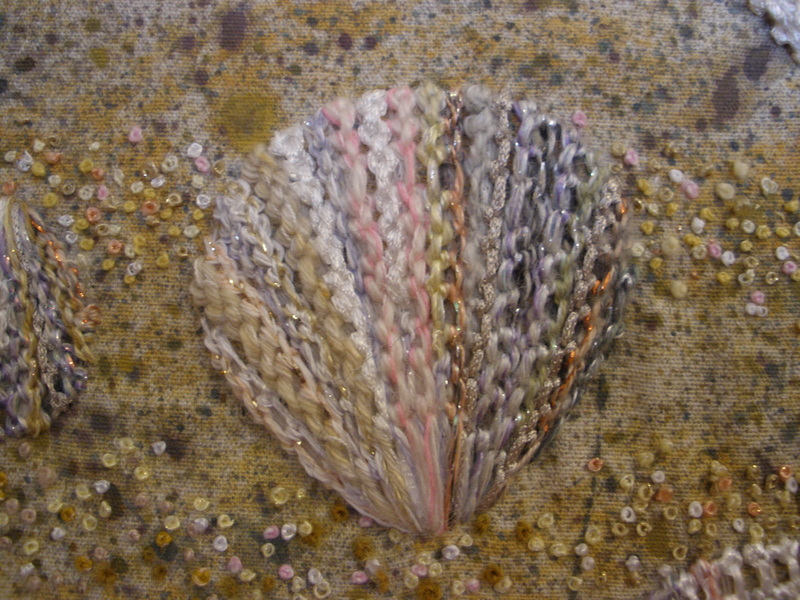 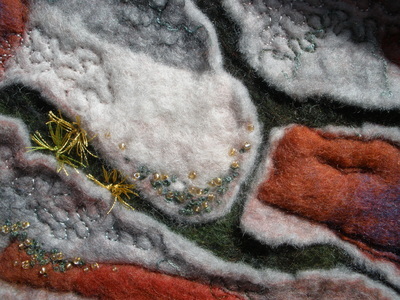 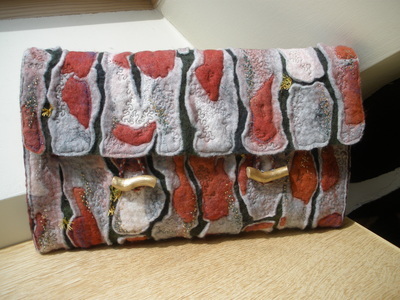 Using dyed wool tops and other added fibres to create pictures, accessories, and three dimensional forms which can be further embellished with needle felting, hand and machine embroidery and beading. 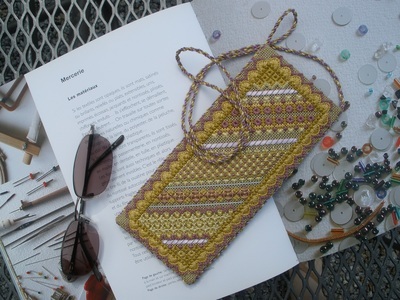 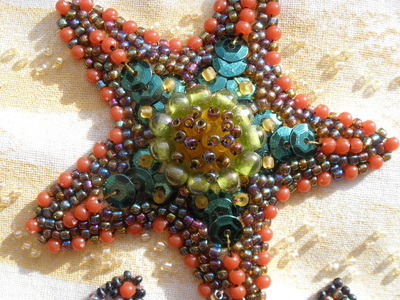 Using the wide array of beads on the market to create textural and rich motifs. 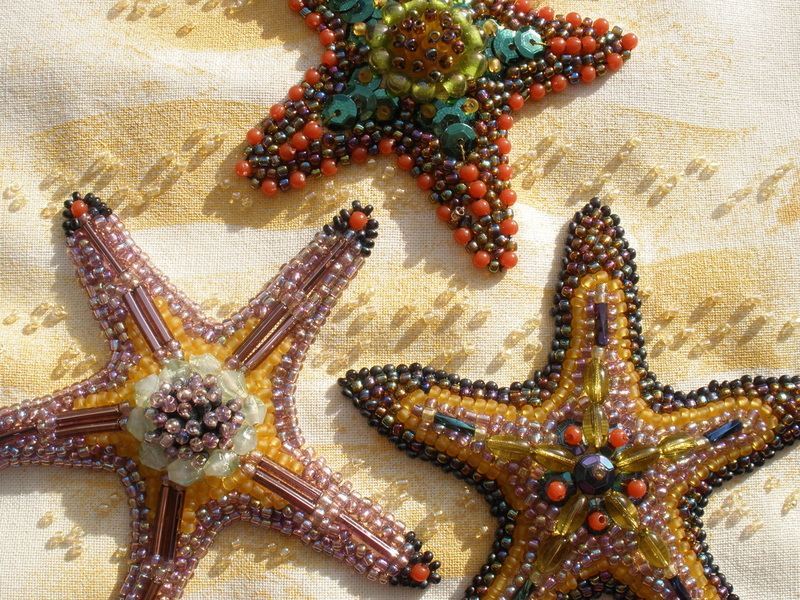 Colour, sparkle and form resulting in stunning individual pieces. 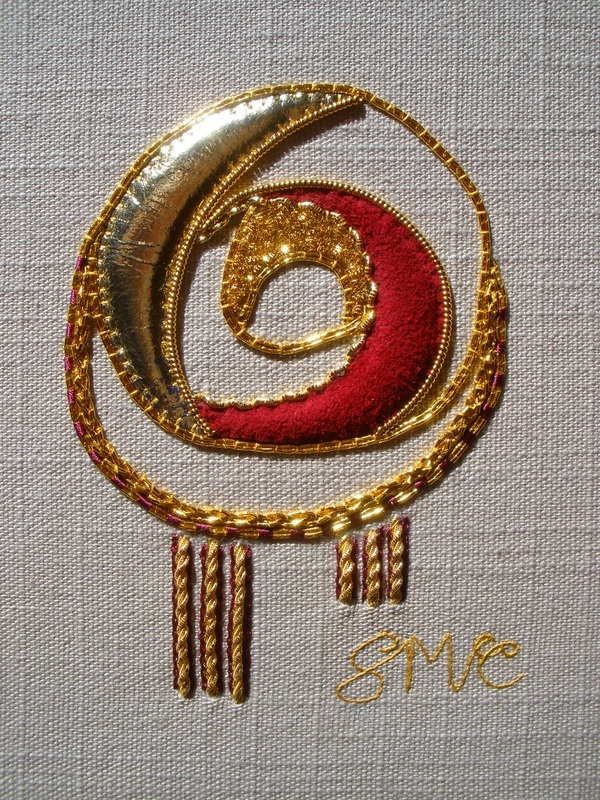 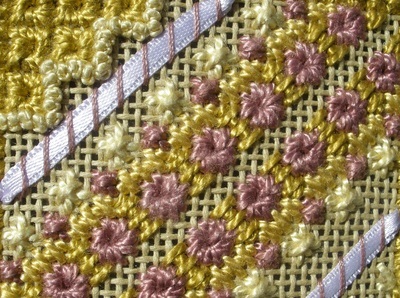 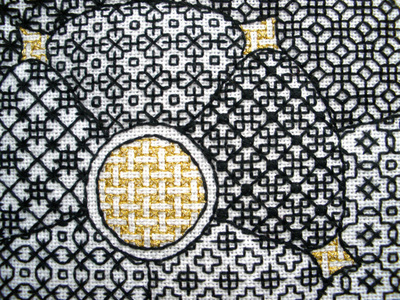 Specialised gold threads and wires are used with couching techniques to make surface designs of great richness. 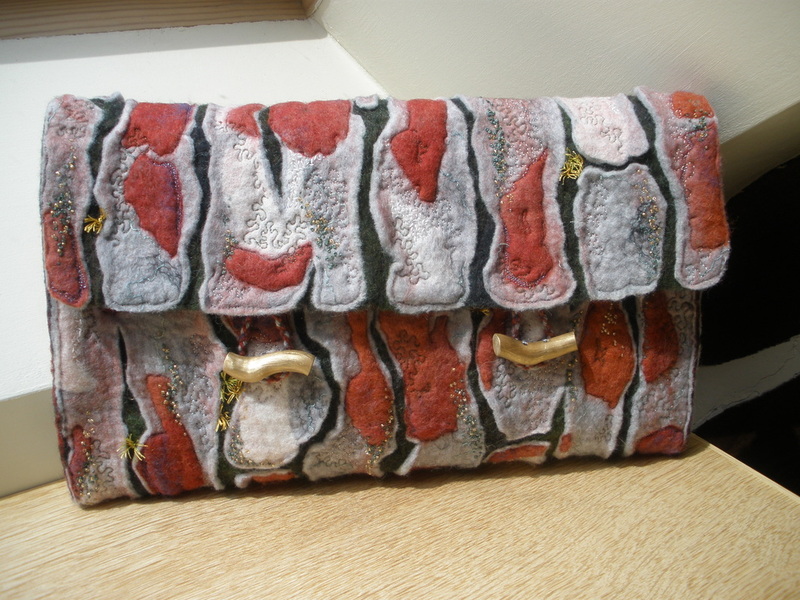 Padding, fabrics and fine leathers add relief, colour and texture. 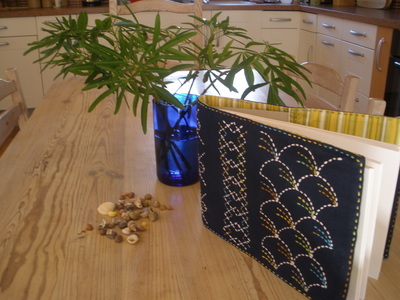 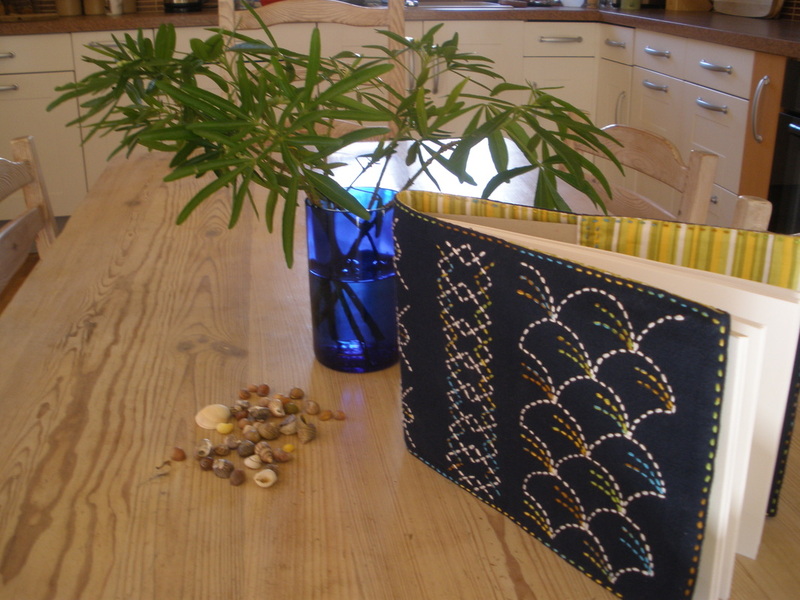 Originally used for making hardwearing working clothes that were patched and repaired over time, sashiko is today more often used to decorate houshold linens and for accessoiries. 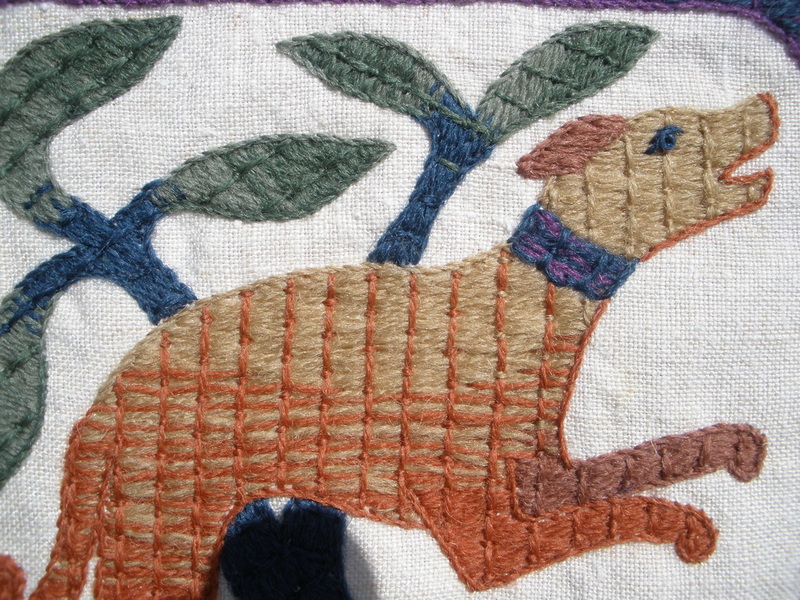 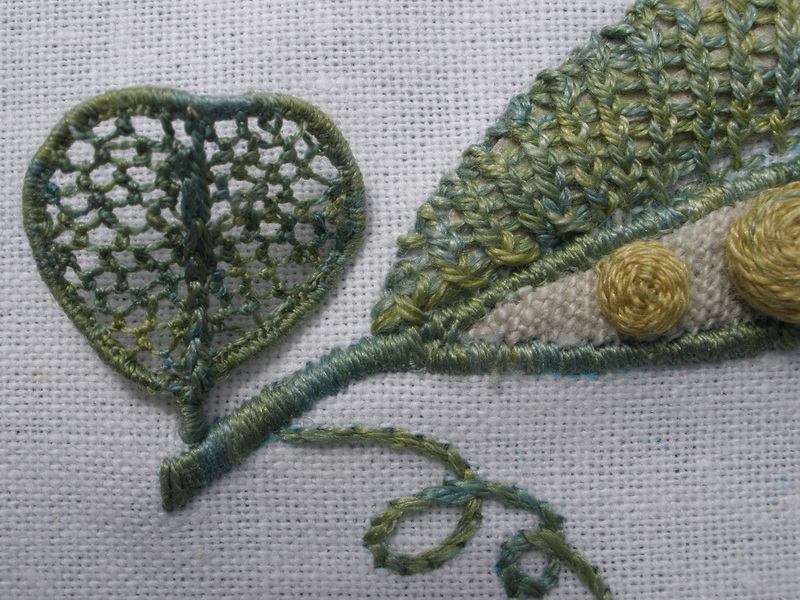 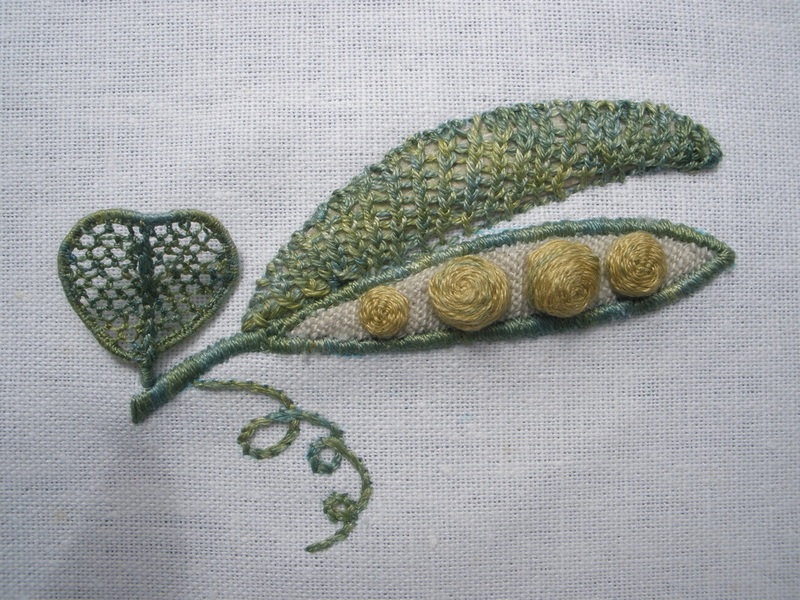 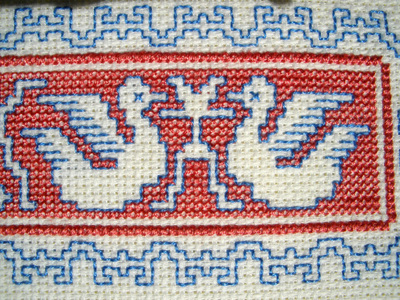 A stitch devised in the eleventh century by the makers of the famous "tapestry", this economical technique gives great coverage of the fabric using crewel wools on natural fabrics. 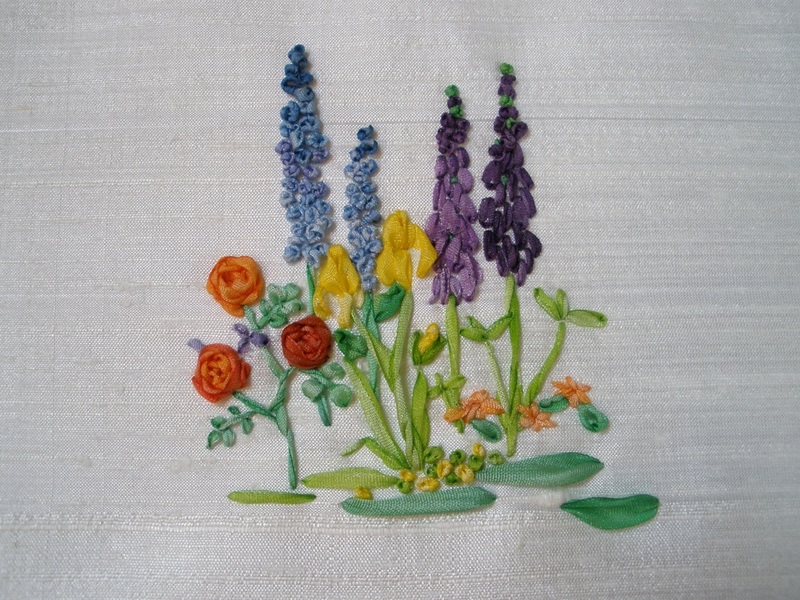 Using different breadths of dyed silk ribbon and a selection of appropriate embroidery stitches, careful control of the ribbon creates wonderful naturalistic designs. 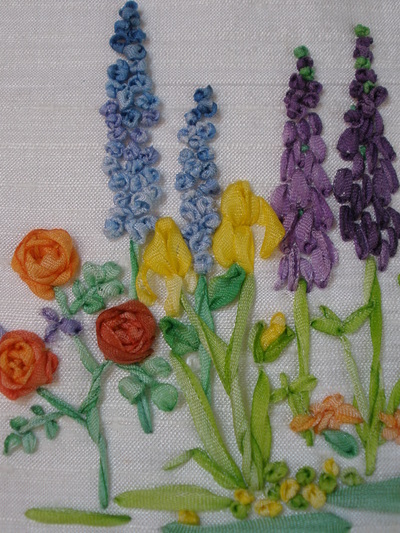 Particularly ideal for flowers.